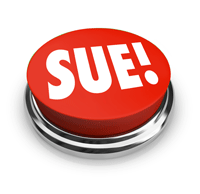 Can You Sue if You Signed A Liability Waiver? You might be asked to sign a liability waiver before engaging in a recreational activity. For some endeavors that seem naturally dangerous, this will come as no surprise. But, in day to day life, you might come in to contact with liability waivers on a more frequent basis than you expect. You might be asked to sign a liability waiver when engaging in certain sports, such as skiing, watching certain live sporting events and even when signing up for a gym membership. While signing the waiver is often a prerequisite to participation, you should know that these agreements are not always enforced from a legal standpoint. Therefore, if you or your loved one is injured after signing one you still have a chance of recovering for your injuries. A liability waiver is an agreement between two parties, wherein one party agrees to release another party from responsibility should the first party suffer some injury at the second party’s fault. In the context of everyday recreational activities, the participating party is assuming the risk of injury from the hosting party and in some cases, giving up their right to sue altogether. One type of contract that might qualify as a liability waiver is a contract of adhesion. A contract of adhesion is a boilerplate form that is presented to a party who has no opportunity to negotiate the terms. An example of this type of agreement is a preprinted waiver on the back of a receipt. Although these agreements are very common, they can be invalidated based on certain factors. Each state has a different take on liability waivers, and therefore the law varies greatly across the country. Some state courts strictly enforce these agreements while others seem to disfavor them. Most courts look at a combination of factors including how the document was drafted and the circumstances surrounding its signing. Courts will inquire as to the nature of the document. They favor documents that are clear and unambiguous and that include terms that a reasonable person would understand. They also look at whether the waiver was obvious or evident. Was the waiver presented to the party or was it hidden on the back of a ticket stub? Courts favor an obvious approach. As far as the circumstances surrounding the signing of the agreement, the courts will try to discover whether it was entered into voluntarily. If someone was forced to enter into the agreement, it will likely not be upheld. Lastly, any agreement that violates public policy in some way will usually be invalidated by a court. If you signed a liability waiver, but were subsequently injured, and want to know if you have a chance to recover in a personal injury action, contact us today for a case evaluation today. and request a time to meet.